Apple notes that the report, which details a number of topics from job creation to construction of its new spaceship campus, was put together by Keyser Marston Associates, Inc. (KMA) for the City of Cupertino under contract with Apple Inc.
With net annual sales in excess of $156 billion, 16,000 employees currently based in the Cupertino area, and annual purchases from local Silicon Valley-based businesses of $4.6 billion, Apple is a cornerstone of the Silicon Valley economy and of the fiscal resources of the City of Cupertino. Much of the report focuses on the economic impacts and future contributions of Apple’s currently under construction Apple Campus 2. In the report, Apple details how its new campus will “add an estimated 7,400 new high-quality jobs,” increase revenues for the local economy, and enhance tax revenues for the city and surrounding areas. 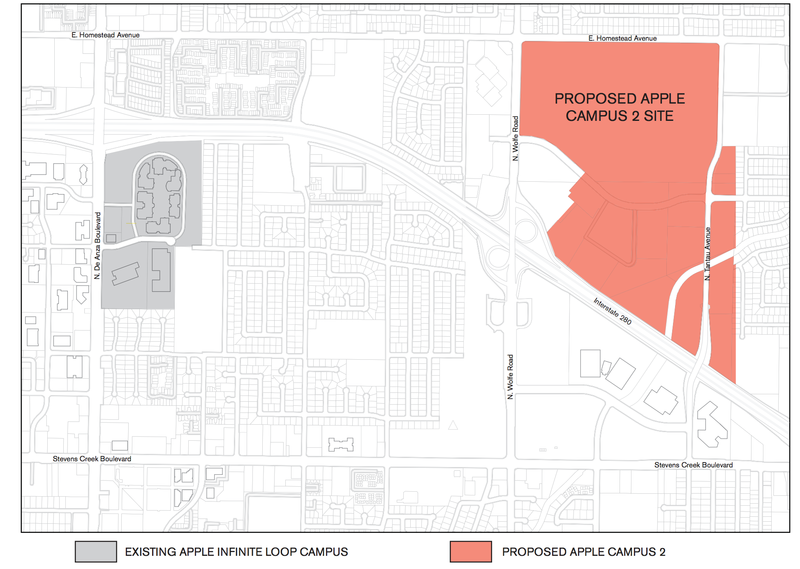 Apple says it will support 24,000 jobs in Cupertino alone when the campus is ready in 2016. Despite Apple currently constructing one of the nation’s largest solar arrays and expanding its North Carolina data centers, Greenpeace just released its “How Clean is Your Cloud” report claiming Apple, Amazon, and Microsoft “are powering their growing 21st-century clouds with dirty, 19th-century coal energy.” The organization is urging consumers to read the 50-page report and then contact the companies mentioned to convince them to change their approach when it comes to powering the cloud.